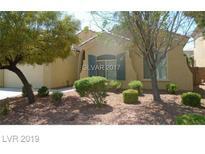 Below you can view all the homes for sale in the Cortona Hills At Southern Highlands subdivision located in Las Vegas Nevada. Listings in Cortona Hills At Southern Highlands are updated daily from data we receive from the Las Vegas multiple listing service. To learn more about any of these homes or to receive custom notifications when a new property is listed for sale in Cortona Hills At Southern Highlands, give us a call at 702-323-5933. Beautifully Landscape Front And Back Yards. 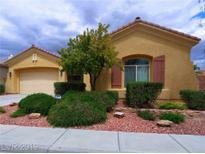 MLS#2090849. The Property Management Firm. 4 Bed*3 Bath*3 Car Garage*highly Upgraded*custom Gated Courtyard Entry*tiled Medallion*high Ceilings*formal Living/Dining*custom Lighting & Window Treatments*sep Family Room*gas Fireplace*bay Windows*granite Kitchen*built-in Oven & Micro*recessed Lighting*large Master/Bath*custom Tile*sep Tub/Shower*vanity*dual Sinks*walk-in Closet*3rd Bed W/Own Bath*park Like Backyard & Covered Patio*great Pulte Home! MLS#2088429. Real Estate Innovations. This home is ready for your buyer's family * Open and airy * Double wood entry doors * Master down w/ his & hers sinks * Make up bar * Walk-in closet * Jetted tub * 2nd master upstairs with attached bath * Hard wood floors * Tile * Shutters * SS appliances * Four bedrooms all with 10ft ceilings * Loft/playroom upstairs * Vaulted ceiling in family room w/fireplace * Nice pool sized lot * Close to shopping and schools * Must see! MLS#2064130. Acclaim Real Estate.